Apple’s products are globally consistent. They sell the same exact product in all countries. An unlocked iPhone is the same everywhere. It makes the products “liquid” in that they can be easily bought and sold across borders. 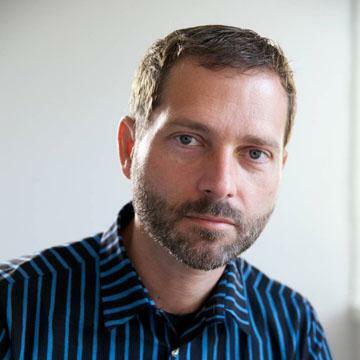 However, laws do not permit the import and friction-free trading of electronic products. In addition to regulations there are duties levied and there are sales or consumption taxes levied on the purchase. However, knowing the retail price of an Apple product in a particular location, and knowing the tax and duties levied, can we work out if the price is consistent? 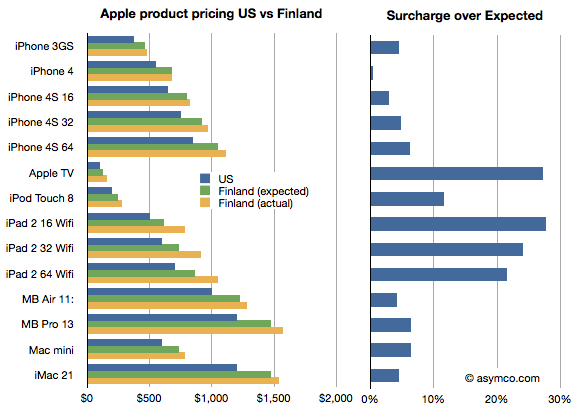 I illustrated the price of a basket of Apple products in the US online Apple store in blue and the same products in the Finnish online Apple store where the prices were converted to US dollars in yellow. I also calculated what the price in Finland “should” be if the products were sold with the known VAT of 23% added. I called this “Finland (expected)” price and it’s shown in green. What the chart shows is that not all Apple products are treated equally by Apple. In this particular case Apple TV and the iPad are “overpriced” significantly. 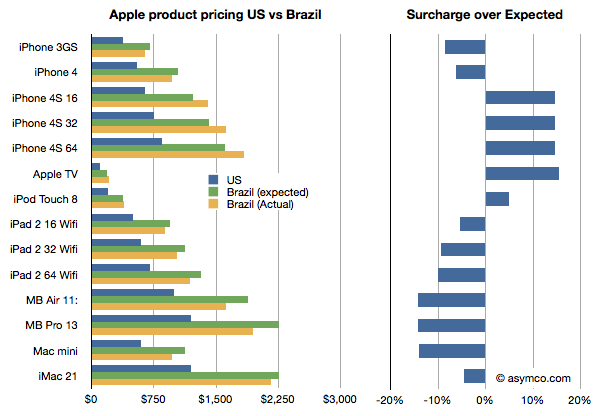 Interestingly, the iPhones are nearly what would be “expected” price. It gets curiouser when comparing with other countries. In this case I compare the same basket in Brazil. Here the story is reversed. The iPads are cheaper than one would expect while the iPhones, especially the 4S, are more expensive, though not by as much as the iPads are in Finland. I don’t know. These prices are set by Apple though they may be influenced by operator deals they have locally or other terms. It would require local knowledge of the market to solve this. provide the retail prices (preferably from an online store) and the local VAT or duty that is expected for electronic products (enter data here.) You can provide the prices in local currency. We can then try to put a global picture together and understand what affects price differences across borders. Update: You can view and enter data in the spreadsheet here. There are minor differences like power adapters but they are not materially more expensive to produce. See also The Big Mac index. Thanks to Paulo Silva for supplying the prices from Brazil and asking the pertinent questions.